5. 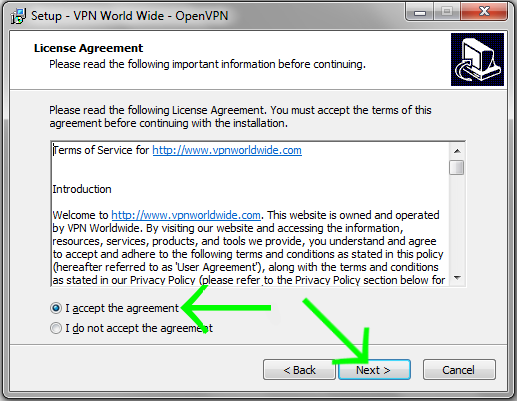 Read our Terms of Service and then check "I accept the agreement". Click "Next". 6. Remember the "Destination location". Click "Install". 9. 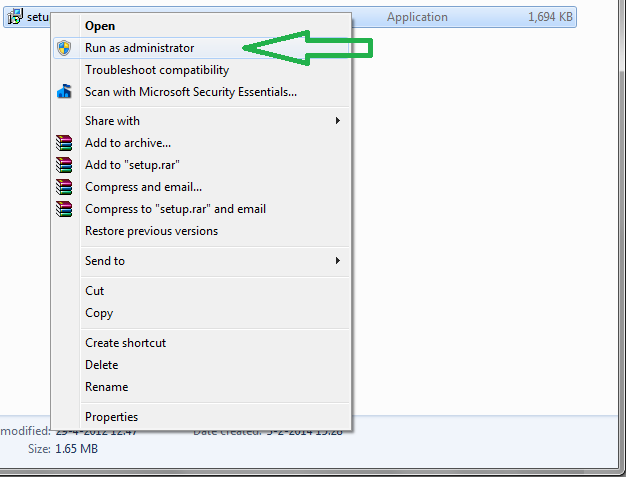 The "Destination folder" has to be the same as the "Destination location" in STEP 6. 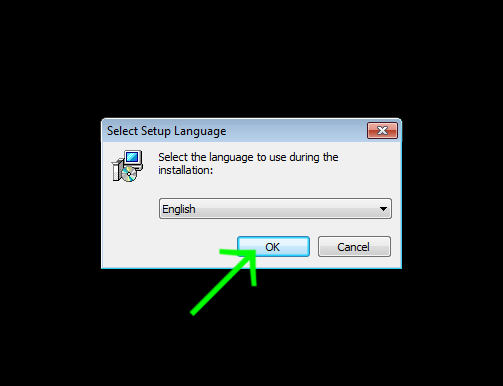 Click "Install". 10. 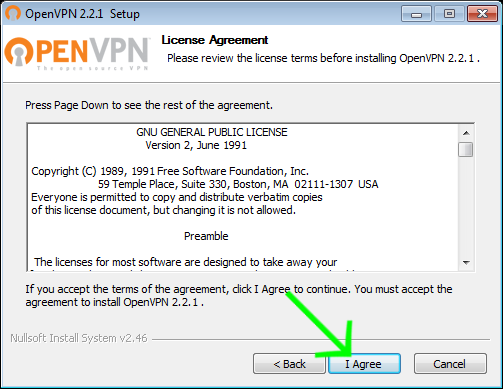 Checkmark "Always trust software from "OpenVPN Technologies, Inc. and Click "Install"
13. 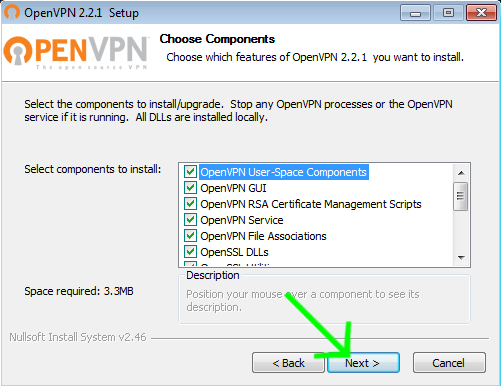 Start OpenVPN GUI. 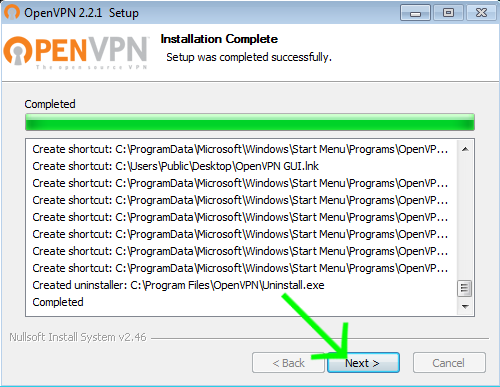 For example from START->Programs->OpenVPN->OpenVPN GUI. 14. 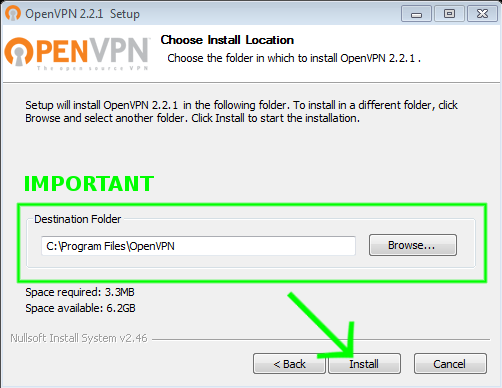 Right-Click on the OpenVPN GUI icon in your system tray, choose the suitable server location and then choose "Connect". 15. 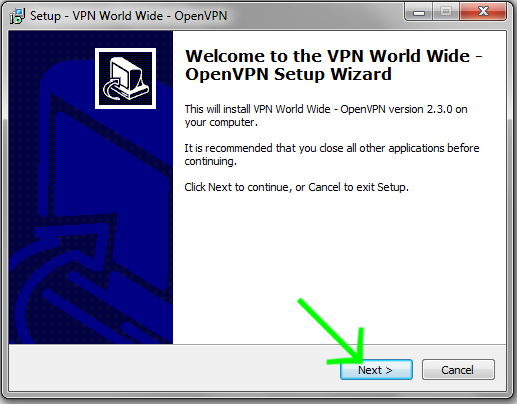 Enter your VPN Worldwide Account details - your User name and Password and press the "OK" button. 16. 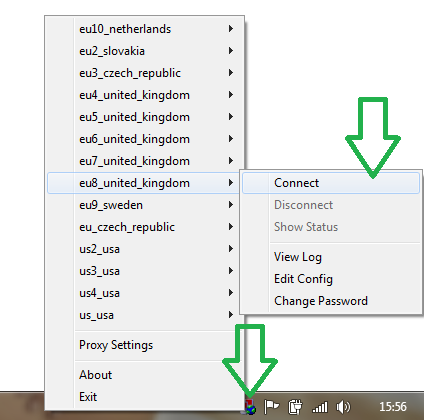 When the OpenVPN GUI icon in your system tray turns green, you are successfully connected. 17. Now please try to open some website. 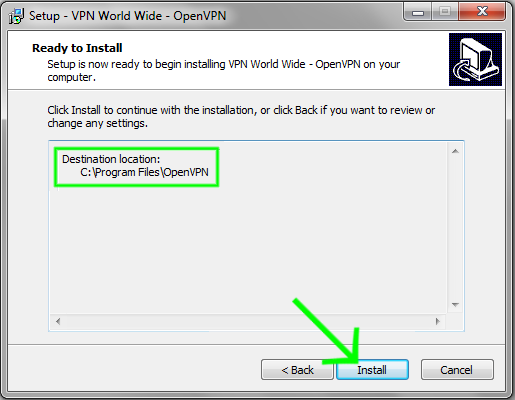 If you are not able to browse Internet (open any website), please read also the next steps. 18. 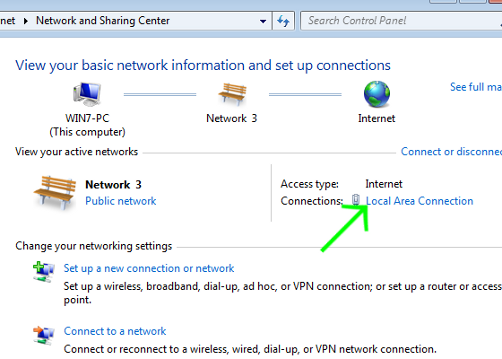 Now you have to configure DNS servers for the TAP-WIN32 interface in your Network Connections. 19. 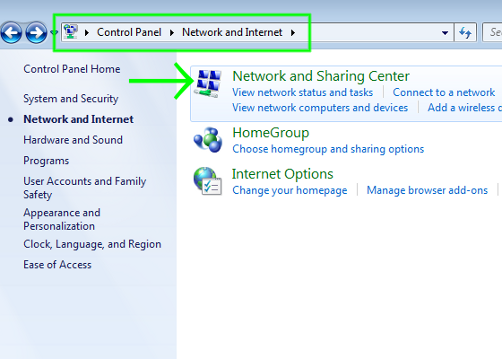 Open "Control Panel->Network and Internet->Network and Sharing Center"
20. 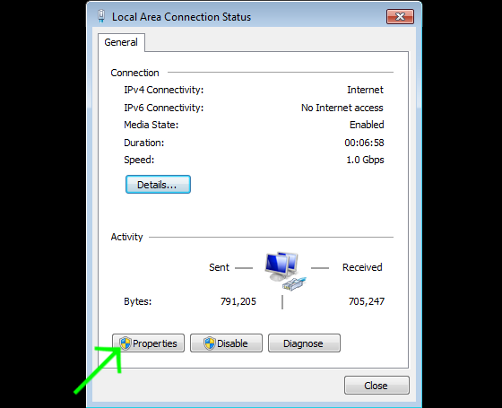 Click "Local Area Connection". 22. 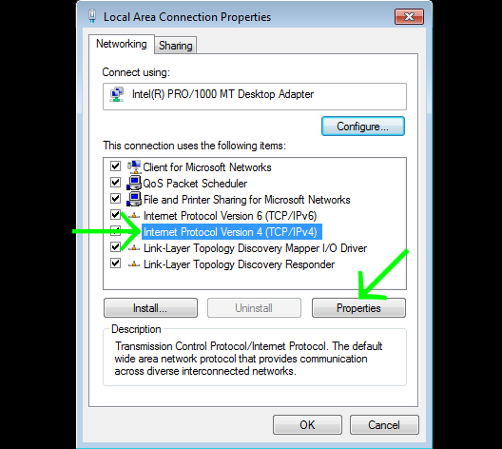 Choose "Networking", select Internet Protocol Version 4 (TCP/IPv4) and click "Properties". 23. 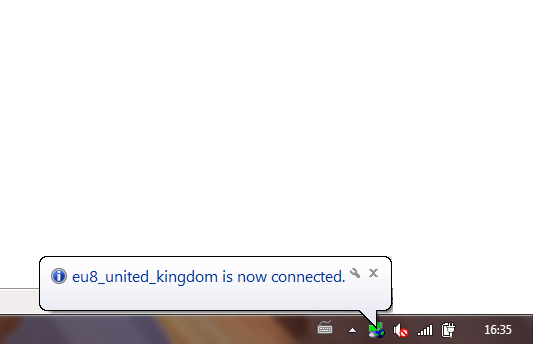 Set DNS servers as you can see on screenshot. 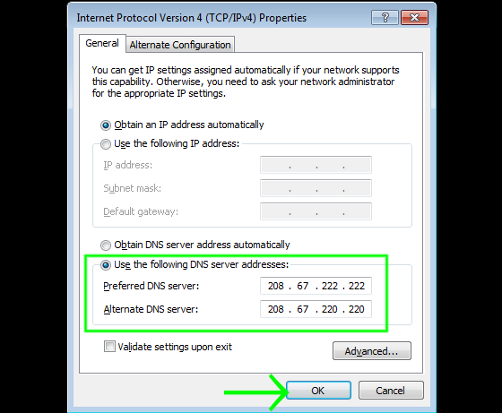 Configure static DNS servers to Google Public DNS or OpenVPN DNS servers.